It was invigorating. Attending the BlogWorld & New Media Expo in Los Angeles was like attending a conference for TV in the early 1930’s—an opportunity to see the future of media with my own eyes. To be honest, I entered the conference with a few misconceptions. 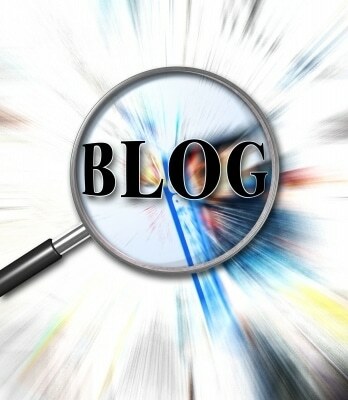 However, after attending BlogWorld, those myths were instantly busted. As a bootstrapped college student, I was upset that I couldn’t afford the full conference ticket. Although the expo-ticket gave me access to the keynotes and the exposition floor, it did not give me access to the numerous panels throughout the weekend. I soon realized, however, that everyone I talked to, whether at one of the planned mixers or just sitting on a bench beside me, was an expert in their own niche. This realization turned the entire conference upside-down for me. Instead of simply waiting in anticipation for the keynotes, I began turning to the people seated next to me and asking them questions. 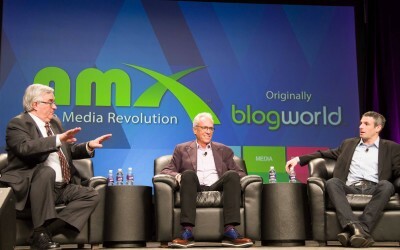 The breadth and depth of expertise found amongst the attendees of BlogWorld blew me away. I met incredible people, ranging from an older woman from Ireland who was a podcasting expert, to a young Canadian guy who was a social media consultant for the restaurant industry. With every new conversation I felt as if I was hitting the “I’m feeling lucky” button on Google—always getting something of value while still being a bit surprised by what I found. For the first time in my life, BlogWorld gave me the opportunity to learn directly from experts in the field. As a student, I always thought that learning was best done in the controlled environment of a classroom. But after attending BlogWorld I learned that I could engage some of the greatest gurus in the industry on the expo floor, in the hallway, or even at a party. I began the conference with the naïve thought that blogging is to young adults as knitting is to old people—something they do in their spare time. I knew there were a lot of people who are full-time bloggers, but I had no idea how indubitable of a business it actually is. While listening to the founder of the SocialMediaExaminer, I learned how he created an entire business model with a blog as its main course and he would then monetize the side dishes (by creating online conferences, by selling extra tools, etc). Not only did I hear about all these ideas, but I also learned how to implement them—and that is what I was really curious about. I learned how bloggers get sponsored posts, how they work with brands for product placement, and even how they negotiate to get free promotional items to giveaway to their readers. I was blown away when I learned that major advertising agencies work with bloggers the same way they do with television networks. I’m sure this sounds sophomoric to you pros out there, but this was entirely new to me. The tremendous business opportunities available in new media is definitely not being taught in my business school’s curriculum. There was a certain culture—dare I say, a gravitas—to the people at BlogWorld. Think: New York publishing ambition crossed with Silicon Valley edge. It was simply awesome. I made some incredible friends at BlogWorld, and we are still in touch today. Plus, there was an essence of openness, authenticity, and generosity at the event that is rare for a college student to experience (campus career fairs usually look like an episode of Survivor). Getting a dozen new t-shirts, ha! Overall, it is pretty clear that BlogWorld was hands down one of the best events I’ve ever been to. Most people idly sat by as newspapers emerged, and then radio, and then television. Today, the world is getting hit by the wave of blogging and new media. If you want to surf on the edge of this wave instead of wading in the water, be sure to give the next BlogWorld Expo some serious thought. I’m sure I’ll see you there next year! 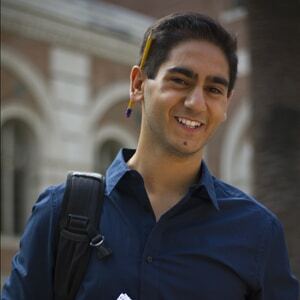 Alex Banayan is an author, speaker, and a full-time undergraduate student at the University of Southern California. You can read more about Alex on hisblog, or you can connect with him on his facebook page. What a whirl-wind weekend it was in Los Angeles, right? BlogWorld Expo is my favorite time of year, since I get to see old friends, make new ones, and get educated! Brilliant Bloggers is a weekly series we do here on the BlogWorld blog to create resource pages about specific new media topics – but for this special edition, I wanted to collect as many posts as I could find about the event. Good, bad, or ugly, we want to know what you thought! Definitely check out the entire Brilliant Bloggers series and consider coming back to submit posts for upcoming editions. We’d love to feature some of our speakers and attendees! Also, if I missed you post about BWELA 2011, PLEASE leave it in a comment below. The more round-ups we have to read, the better! 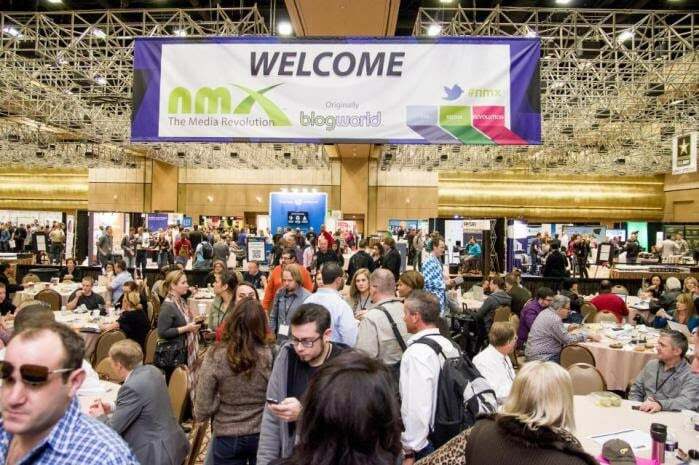 Amy Schmittauer (@Schmittastic):What was the most valuable thing you learned at BlogWorld? Bruce Sallan (@brucesallan): 12 Most Worthy Takeaways From BlogWorld Expo 2011 L.A.
David Armano (@armano): Who Influenced Blogworld? Jenna Langer (@jennalanger):My #BWELA Recap – Third Blog World is a charm! 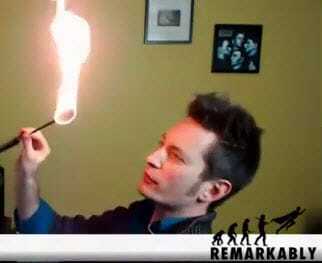 Joshua Dorkin (@jrdorkin): Is Social Media Replacing Blogging? 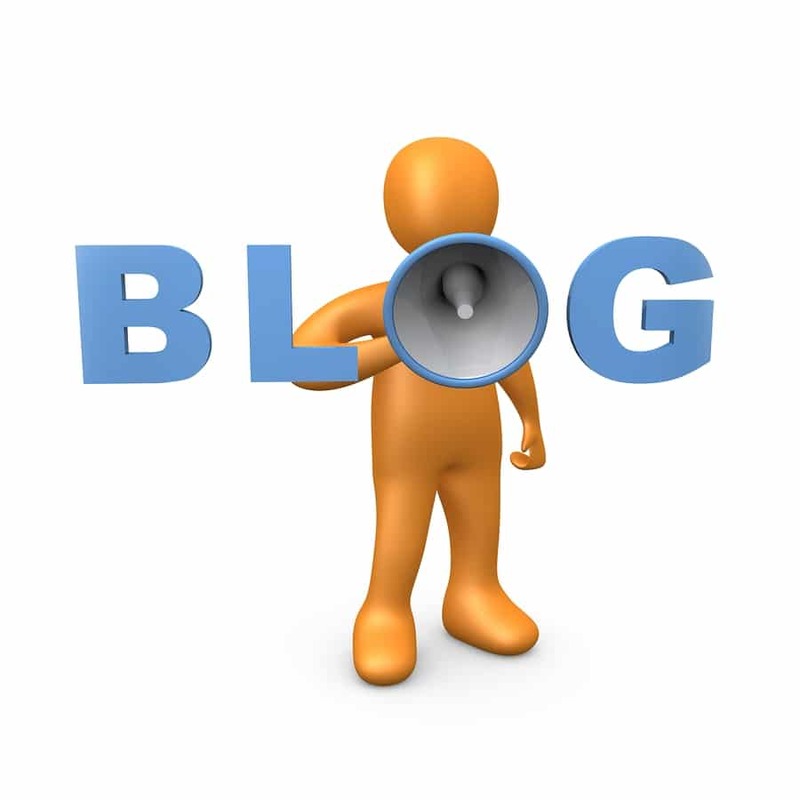 Will Micro-Blogging Destroy Blogs? 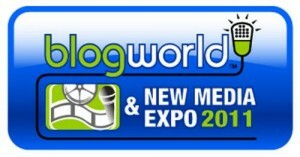 Lara Kulpa (@larakulpa): BlogWorld Expo LA 2011 – Woah! 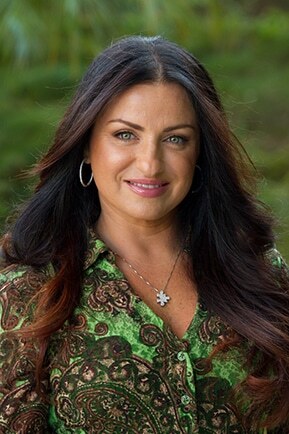 Marcy Massura (@marcymassura): You rocked my (Blog) world. 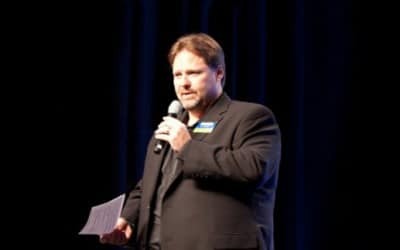 Mike Girard (@MikeGRad6): Social Media Learnings: BlogWorld LA 2011 Wrap-Up! 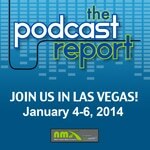 Todd Cochrane (@geeknews):BlogWorld and New Media Expo – Where did New Media Go! 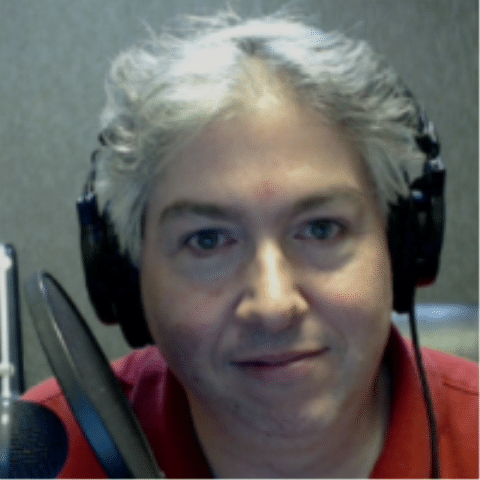 Tom C. (@watchdottv): BlogWorld LA and New Media Expo Wrap Up – We Love LA!!! Nicole Avery (@planningqueen):#BWELA Was It Worth it? Thank you SO MUCH, everyone, for all your awesome posts and tweets! If I missed yours, please leave a comment with the link so we can all enjoy it and I’ll be happy to add it to the list! Didn’t write about BWELA? Share a comment to tell us about the best tips you learned at the event! In conjunction with BlogWorld and Ford Motor Company, the Los Angeles Auto Show would like to cordially invite you to attend the exclusive Auto Show Press Days Nov 16 & 17. The LA Auto Show is one of the top automotive industry events worldwide and will host more than 50 significant World and North American vehicle debuts. As the first major auto show of the new model season, thousands of media will gather with top industry executives to learn what is in store for the future of the automotive industry. To qualify for Press days please visit the Ford Exhibit at Blog World and either have your photo taken and share it online or download and share Ford’s mobile app in and around the show. Ask someone at the desk in the Ford booth to take your contact information and Ford will submit it to the LA Auto Show Press Days registration department. 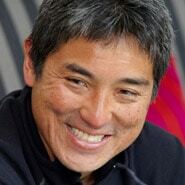 For those of you who are at BlogWorld Los Angeles, did you attend the Google+ for Business session with Guy Kawasaki and Chris Brogan? I sat in mainly because I am still trying to figure out this mystery we call Google+. It’s still a mystery to me as to how to use it, if I should use it and who is using it. What it seems most people want to know is why would they put any focus on Google+ when they are active on Facebook? More time on a social network? Are you kidding me? Most of us barely have time to focus our efforts on Facebook and Twitter, much less adding something else in. But both Guy and Chris believe Google+ is a must for your business. They listed a bunch of reasons why, but the one quote that stuck out to me the most was when Guy gave his opinion on the difference between Facebook and Google+. What does he mean by that exactly? He means that Google+ is full of people who are passionate about a specific subject. He’s found communities based around everything from photography to hockey. And within these communities, you can build a relationship with people who share the same passion as you. Guy spends 2 to 3 hours a day on Google+ interacting with people and using it as a marketing platform. Yes, 2 to 3 hours a day. They both gave many more reasons they believe NOW is the time to get involved in and active on Google+. If you want to hear their session, be sure and check out the BlogWorld Virtual Ticket. So, let’s open up the floor for discussion. 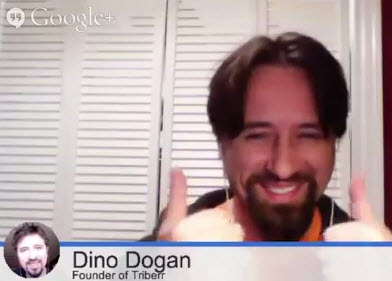 For those of you who were in the Google+ for Business session, what did you walk away with? For those of you who weren’t, what are your thoughts on the difference between Facebook and Google+ Guy gave? 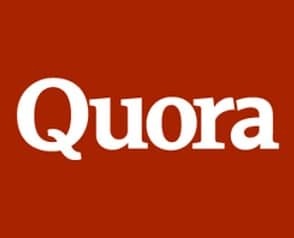 I would love to hear your thoughts and if you think spending time on Google+ is worth it. We’re all trying new techniques and tools. The Internet is still relatively new in the grand scheme of things, so you have to keep testing things to see what works – and everyone is doing it. Peter told a great story about creating a video that made fun of Ironman racers. He got a few hundred views after sending it to his friends, but imagine his surprise to find out the next day that it had been retweeted six thousand times and views were going through the roof. Turns out, Lance Armstrong happened upon it and tweeted it. Peter was unprepared – didn’t have any contact info or anything associated with the video, so he missed out on tons of traffic to his site. Be prepared for your successes! Invest in time to learn to write properly. Learn the difference between there, they’re, and their. Don’t write in abbreviations (leet speak). Be professional. This is your business, and intelligent writing is important. Peter gave a great suggestion: Go to Facebook and find ten people you haven’t spoken with in the past six months. Then, do one of two things: start a conversation or delete them as a friend. Staying on the top of someone’s mind is the best way to get new business. You want your name to come to mind when a friend is looking for a recommendation, and if you haven’t spoken with them in six months, that’s not going to happen. When you’re success, there will always be people who dislike you. That’s how you’re doing something right! You can’t spend too much time worrying about the haters, so do what you do best and follow your passion. I personally think that Peter’s best advice was to get out there and live life. We tend to forget that as bloggers and business owners, but at the end of your life it’s not just about being successful; it’s also about loving what you’re doing. So spend some time with your family, have fun with friends, and enjoy the little things! 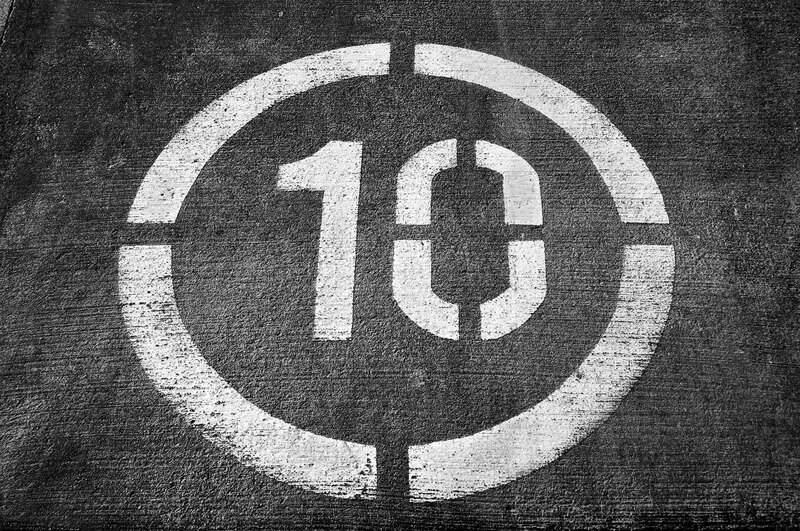 This isn’t even the tip of the iceberg, so consider checking out the virtual ticket to access the entire keynote and all of BlogWorld’s other 2011 West sessions! Also awesome: Peter is offering two free months of the premium addition of HARO (Help a Reporter Out), which is awesome for getting media mentions! Just use the code 2moadv56737 and tell all your friends! 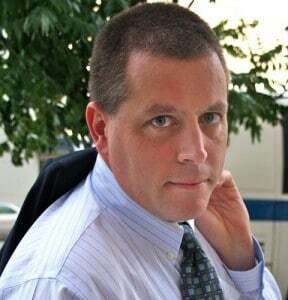 Peter Shankman is a blogger, an author, and the founder of Help A Reporter Out, (HARO), which connects journalists on a deadline with sources who’s like to be quoted in the media. Peter is also the founder and CEO of The Geek Factory, Inc., a boutique Social Media, Marketing and PR Strategy firm located in New York City and you can find him blogging at http://shankman.com. 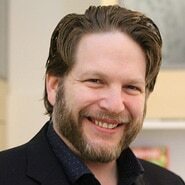 He’s the author of (Wiley and Sons 2006) and Customer Service: New Rules for a Social-Enabled World (Que/Pearson, 2010). Follow him on Twitter @petershankman. Leah Segedie will be speaking with some amazing bloggers about “Finding the Right Fit” – which addresses their experiences working with brands and how to stand out in your own space. Leah says she really likes conferences, but especially loves BlogWorld because she learns a lot, and always something new. Watch more videos and see why other speakers are attending BlogWorld LA. See all Speakers here. 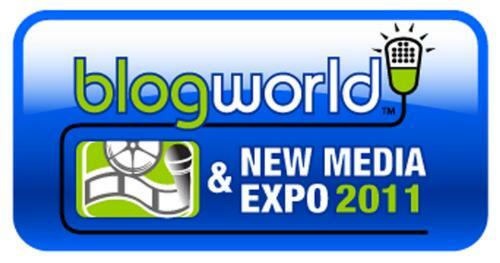 Learn more about BlogWorld LA and register Here! As I prepare to head off to BlogWorld LA in a few days, I’m looking forward to the whole experience of attending and speaking at my first BlogWorld & New Media Expo! After having wanted to attend in the past but not being able to, I jumped at the chance to go when I was asked to be a speaker on the Type A Parent Track this year at BlogWorld LA. I’m sure it will be a time of intense learning, lots of networking, and crazy fun! In my session, I will be sharing tips with other parent bloggers on how to get started in the exciting world of internet radio and podcasting. Podcasting and internet radio are incredibly powerful tools to further your blog’s reach and value and can increase your monetization opportunities. In this session, we’ll discuss how to start a podcast, where to broadcast, how to develop a theme and topics, get regular guests and how to market your podcast to build an audience. I promise to pack as much valuable information and helpful tips into our short hour together and will do my best to answer everyone’s questions! My co-speaker for this session was Maria Bailey of MomTalkRadio.com and I was thrilled to be sharing the session with her when we were asked to speak together. Unfortunately, Maria has had a scheduling conflict arise and will be unable to attend BlogWorld LA after all (We will miss you, Maria!!!). My presentation will be incorporating some of her research and contributions into the session so you will still get the benefit of some of Maria’s podcasting expertise. I’m so excited to be attending BlogWorld LA and hope to meet all of you! Come to my session and let’s talk! If you miss my session, find me in the hallway and say Hi! See you there! You’ve logged long hours behind the glare of your laptop display, battled writer’s block valiantly, and tried your best not to get rattled by the occasional negative comment or flame war. Along the way, you’ve produced some great content and have joined the growing ranks of more than 175 million blogs worldwide. While blogging has become a serious industry, most bloggers don’t necessarily consider the business aspects of their blog when they’re just starting out. But soon enough what may have started as a casual interest turns into an extra source of income, or even a full-time business. If you’re a self-employed or self-starting blogger, you’ve got to be aware of a few things as you navigate the legal and business aspects of your blog. Yes, I know, it’s hard to imagine that sitting behind a computer can put you at any real risk of a lawsuit. And certainly managing a blog is inherently less risky than managing a sky diving business. However, there are some liability issues to consider: What it you accidentally plagiarize another writer’s work? What if you write about a mobile phone prototype left behind at a bar? What if you’re fined by the FTC or named in a class-action lawsuit for positively reviewing a defective product? If you’re involved in blogging or social media, you’re most likely aware that back in 2009 the FTC revised their guidelines to bring social media and Internet advertisers into the mix. At the heart of this revision was a concern that recognizing ads in social media was becoming increasingly harder. And since then, we’ve seen a handful of controversies surrounding celebrities not properly disclosing brand relationships. You need to disclose any ‘material relationship’ with an advertiser or brand. A material relationship can be anything and everything from receiving cash, free samples, a free product, or free trip in exchange for a product review or blog post. Let’s say that Jimmy is an online gaming expert who drinks lots of energy drinks and blogs about his gaming experiences. A game manufacturer sends him a free game and asks him to write about it. Accepting this free game creates a material relationship that must be disclosed or Jimmy can face substantial fines. If you’re not sure what constitutes a material relationship, err on the side of caution. After all, do you think Jimmy’s readers will be upset to learn he received a free game (particularly, if he’s known for enthusiastic, albeit dead honest, reviews)? Beyond FTC penalties, I believe that disclosure is good practice, as it maintains the relationship of trust that you’ve built with your audience. It’s no longer acceptable for a blog review to make outrageous claims like “I made $30,000 last month from home selling on eBay; I lost 50 pounds in 2 months.” This is true even if you put a disclaimer ‘results not typical’ in fine print. Like advertisers, bloggers are required to disclose results that “consumers can generally expect.” If you don’t comply, you could receive substantial fines or a consumer protection lawsuit. In most cases, the company itself will be the defendant, but as a participating blogger, you could also be named in the lawsuit. Most bloggers aren’t really thinking about business structure when they first start out, meaning that most begin as sole proprietors. While you may think you should incorporate in order to lower your taxes, the main benefit of incorporating or forming an LLC has to do with separating your personal and business finances and minimizing your personal liability. With an LLC or Corporation (S Corp or C Corp), your personal assets, such as property or a savings account, are shielded from any judgment if your blog happens to be sued or fined. On the other hand, if you’re sued as a sole proprietor, you’ll be sued personally. This means that your personal assets are all at risk. And what you initially started as an interesting side project could end up wiping out your down payment savings. Also be aware that creditor judgments can actually last up to 22 years. This means that if you’re sued today, your personal assets will still be vulnerable for up to 22 years. This may sound like scare tactics. And I’m not a fan of scare tactics. But I am a fan of education. 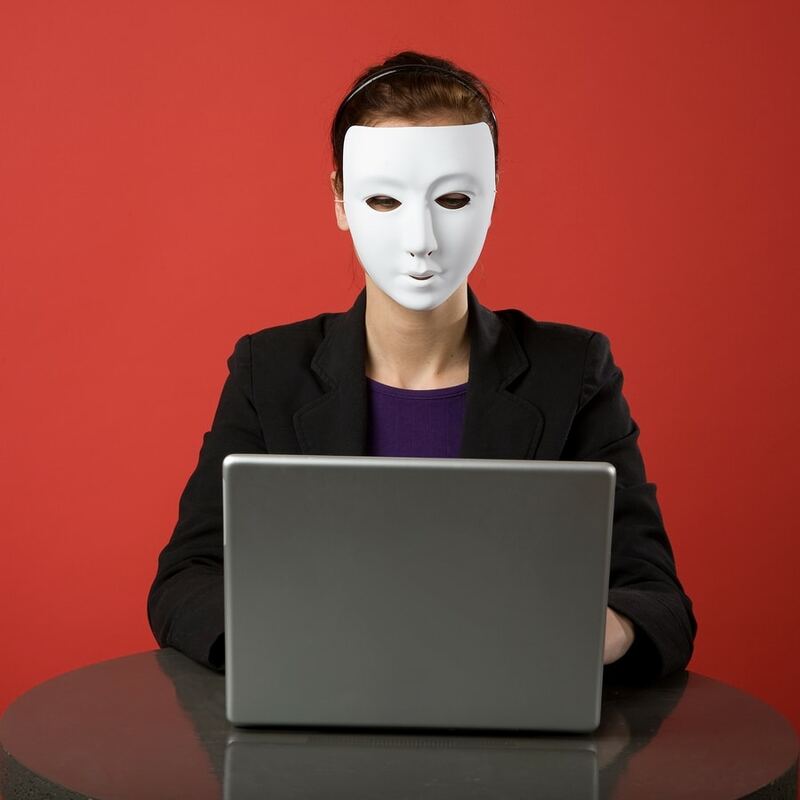 Most likely, you’ll never run into any sort of problems with your blog except for the occasional troll. But following this simple recipe of shielding your personal assets through an LLC or Corp, using common sense when choosing your advertising/marketing partners, and always erring on the side of transparency will help make for the sweet success of your blog and business. At next week’s BlogWorld in LA; Nellie will be exhibiting information for attendees to learn the benefits of forming that business structure to a new venture and why it’s an integral part of the success of a business. She will be giving away one iPad2 on November 4th and one on November 5th to BWE attendees. People just have to stop by the booth and look for the ‘Word of the Day’. Once they find it; they need to Tweet to @CorpNet or comment on the CorpNet Facebook page with that word to be entered to win. If they tweet and comment; they are entered twice. At BlogWorld LA, Marcus Sheridan will not only show 7 powerful ways by which businesses will gain huge SEO and Branding visits through content, but he’ll also take the audience to the ‘next level’ of understanding how consumers think, feel, and the things they truly want to be reading about. Did you know that many of our speakers are authors too? Well they are! And now you can get signed copies of their books and chat for a few minutes during the BlogWorld & New Media Expo LA event. Location: Barnes & Noble / BlogWorld Book Store, located in the lobby near Registration.